PIMCO released their January UNII and EPS figures which, as expected, showed some declines in coverage and undistributed net investment income. For muni coverage, 7 of the 9 funds saw coverage increase with two declining. Coverage for the taxable funds all fell during the month. The top funds of PIMCO Dynamic Income (PDI) and PIMCO Dynamic Credit and Mortgage (PCI) saw significant coverage declines. All 20 funds trade at or very close (PCI) to a premium. PGP and RCS are trading at the highest levels with 51.4% and 45.0% premium, respectively. PCI trades right at par (0.0% premium) and PIMCO CA Muni Income II (PCQ) trades at a very slight premium of 0.8%. Distribution yields are similar to where they were in late September but far lower than in late December given the move in prices. From a NAV perspective, the funds have done well so far this year rising around 3.5% for the three non-agency focused funds (PCI)(PDI)(PKO). But from a total return on price, the funds have recovered their losses from the fourth quarter and reverted back to prior valuation levels. 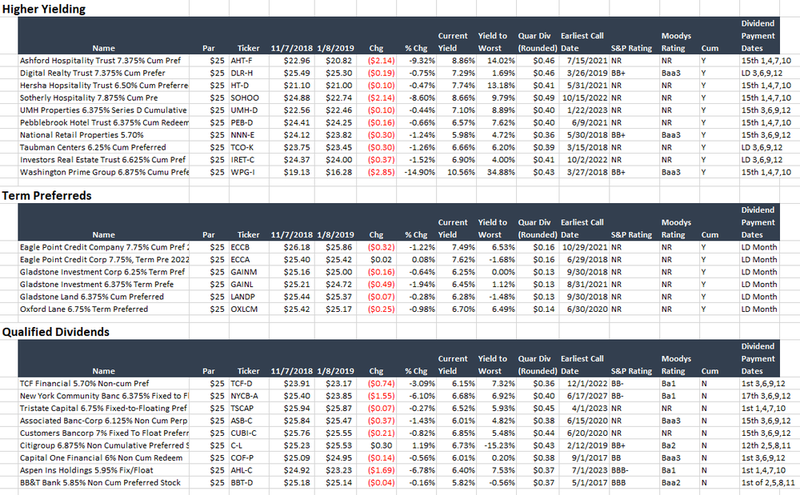 PCI is the leader here with more than 11.5% total returns in 7 weeks. Some of the other funds have seen better NAV returns so far this year with PTY leading the way jumping over 5% out of the gate. PCM, which has a lot of international holdings, is the laggard though still up over 2.6%. On price, this fund group has seen similar increases in price that the prior group has with low double-digit total returns for the top funds. PFN and PFL are the laggards here as these funds have lower non-agency exposure, less leverage, and lower durations. The last group are the more volatile and premium traded funds that are pure trading vehicles. PGP is up a whopping 26% this year on price, while on NAV up about 9.6%, increasing the premium by 17%. On the muni side, NAVs in CA all moved roughly the same amount rising approximately 1.4%. Prices though were all over the place with the top performer being PZC rising 14.8%. The fund now trades at a 15.3% premium, the 52-week high. This fund has reached as high as a 30% premium back in 2017. A better bet would be to rotate PZC into PCK which has better coverage with an equivalent yield. The national funds show similar dynamics with a 1.3% NAV increase and much strong price returns. In general, all of these funds are trading near the top of their long-term ranges. They of course could continue to increase especially as the NAV increases and the supply/demand environment in munis continues to be favorable. In taxable fixed income, the funds are benefiting from a rebound in spreads of high yield and high-yield related sectors (which includes non-agency MBS). With rising NAVs and shrinking VIX levels, discounts tend to continue to tighten and premiums build. The non-agency MBS market continues to show the same dynamics that we've discussed for several years now. That is improving credit quality thanks to rising home prices and low unemployment despite the market cycle being late stage. Credit standards have increased dramatically which has helped contain prices as well as increase overall quality of MBS. The leverage in the mortgage market is far lower thanks to regulations and better lending practices by originators. In addition, Dodd-Frank did impose some penalties for excesses that were common prior to the Financial Crisis. Last month we looked at loan-to-values of the non-agency space but this month we will look at a more macro piece of data, U.S. Household Spending. In the last month, PCI and PDI shifted another 2% away from the non-agency MBS space. 2% also came out of high yield and non-USD developed bonds. The capital went into 'net other short duration instruments' or essentially cash-plus investments. This could be natural roll off and the firm unwilling to pay up to add new holdings in the space to the mix. The portfolio positioning at the start of January gives you a clue as to where the fund's weakness during the month came. They maintained moderate exposure to US rates primarily in the belly of the curve with a short position on long rates. In other words, they believe the curve is likely to steepen with shorter rates coming down (which occurred) but longer rates rising (which did NOT occur). We have been trimming our position in PDI and PCI here and there taking off the additional exposure we added in December. We are still mildly overweight to the two funds though we expect to be at target relatively soon. While these funds are the closest thing to 'hold forever' investments in the closed-end fund space, they still need to be watched and traded periodically. For the accounts I manage, the total return and cautious investors have sold more shares recently and gone primarily to PONAX (PIMCO Income A) and PIMCO Enhanced Short Maturity (MINT), a cash substitute. There we will wait for the next hiccup in the market to offer us up the chance to buy PCI at a 5-10% discount and PDI near par. For the buy-and-holders, who are mostly concerned with income, only some risk management trimming has been done. The valuations in the two funds are likely topped out meaning I do not expect much more premium build in either fund going forward (maybe 1-2%). The other key variable is where to allocate that capital? Even with the buy-and-holders, we would be selling more shares IF we had a decent place to shift that money. But going from a 9% yielding position to a 3-5% overall doesn't sound very appealing. 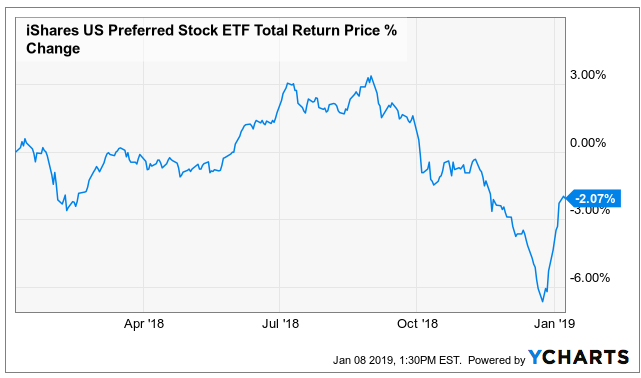 The entirety of the CEF space has seen a lock-step shift higher in valuations so far in 2019. The January Effect is in full swing, though likely coming to an end. The question is, do discounts (valuations) stay where they are or are we likely to see another blowout giving us a chance to 'buy low' and add more value. The funds are not cheap, as we noted previously, but their are also not crazy overvalued either. One-year z-scores are not even at +2 with even a couple of negative signs for PCM and PCN. We would be more concerned if those z-scores exceeded +2, which for PCI means a price of $23.34 and PDI a price of +$31.59. Right now, we're not buying any PIMCO fund (and haven't for a number of weeks). Unless something changes drastically, which has been known to happen (look at Aug 1 2017 for instance), we can't see adding to PIMCO CEFs in any account. On the muni side, distribution cuts are coming though they aren't imminent. We know PIMCO will wait until the last possible moment so as to perhaps stave off a cut before conducting one. PCQ and PCK are rich here with moderately high z-scores and yields that aren't extremely compelling compared to the risks. PML continues to burn down its UNII which should prevent it from having to cut the distribution for over a year but remains very expensive and susceptible to a sell off. We would definitely be selling PGP, PHK, and RCS here and taking likely gains. While we haven't liked the way PFL and PFN have been trading recently and think they are overly expensive. PTY, PCI, PDI have been looking solid and we would be holding if you are a buy and holder and trimming if you are a total returner. When we say trimming, we are talking about reducing exposure slowly, over time, with an eye of collecting several more distributions and moving to an underweight position. If I owned PKO, I would be swapping to PCI and PDI given the large negative UNII. January had far fewer distribution cuts than what occurred in November with munis being spared. Most of the significant cuts this month came from the global dividend payers which is not surprising given the weakness in the space. We highlight two of those cutters which come from Lazard who adopted a 7% level distribution policy to arrest the NAV decline. December CEF Distributions Widespread Across Sponsor. DBL Cuts Big! The December has more significant cuts as compared to November with the changes spread across fund sponsors. Most of the cuts came from the muni fund space which has been weak all year due to rising rates. As we noted last month, the fundamentals matter and we see that with the massive cut to DBL- a fan favorite.